A diabetes researcher who once sued a publisher to prevent several retractions has just issued his 12th. The latest retraction, like several others for Mario Saad, appears in the journal Diabetes. Although in the past Saad expended considerable effort to protect four other Diabetes papers from this same fate, the latest retraction was initiated by the authors, citing several duplicated images. 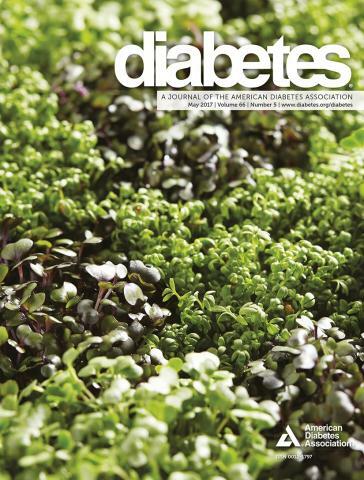 The American Diabetes Association had flagged the 2009 paper with an expression of concern earlier this year. In 2015, Saad brought a lawsuit against the ADA, claiming that it “wrongfully published” four expressions of concerns in its flagship journal Diabetes, in an attempt to prevent the papers from being retracted. He lost, and the papers were retracted in 2016. After the journal published an expression of concern about this article, Dr. Saad independently contacted ADA to submit a retraction notice. Dr. Saad’s retraction notice was reviewed and approved for publication by ADA’s Panel on Ethical Scientific Programs (ESP). We contacted Saad, who acknowledged the email but did not comment further. Lanes 2 and 3 of the IP:EGFR strip in Fig. 5D appear to be duplicates of lanes 2 and 3 of the IB:Caveolin strip in Fig. 5E. The authors no longer have the original figures for the first two issues cited above and have therefore decided that the best course of action is to retract the article. The authors apologize to the scientific community and will seek to publish another article to corroborate the findings of this work. “EGFR Tyrosine Kinase Inhibitor (PD153035) Improves Glucose Tolerance and Insulin Actionin High-Fat Diet–Fed Mice” has been cited 36 times (three times since the EOC appeared in February), according to Clarivate Analytics’ Web of Science, formerly part of Thomson Reuters. Great work people – I’m prepared the accept the use of a goldfish in place of mangetic server issued on April 1st has a place…. but we NEED to add confidence factor to go with impact factor. Impact factor & retractions of sources, and so on.